One or more photo(s) has been virtually staged. 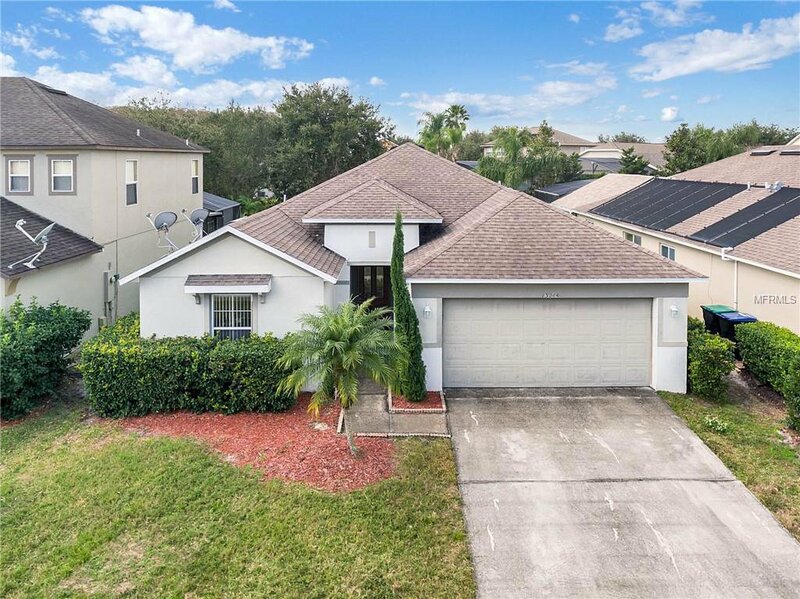 Welcome to this elegant three bedroom home in the popular Eagle Creek Golf Community in Lake Nona. Being in the premier country club it always comes with outstanding amenities, which includes recreation clubhouse and fitness center. A beautiful lakeside swimming pool and patio bar. Enjoy having a quality time using top of line tennis and basketball courts. Home to an extraordinary 18-hole course, this true scottish-style experience of Eagle Creek Golf Club stands out from other Orlando championship golf courses as a true golfing masterpiece. The spectacular 14,000 square foot, two-story clubhouse is designed in a vintage new England manor style, which includes a fully stocked pro shop and the Belfry Restaurant. A home in a relaxing community, as go inside the entry foyer it leads you to the spacious living room and family room area. Another great feature is the beautiful spacious kitchen with plenty of storage behind a 42 inch cabinets and the best double door pantry that comes with an elegant dark hood range, fridge and dishwasher. Let’s go now to the most awaited master bedroom that comes with double vanities a walk in shower and separated garden bathtub, bedrooms 2 and 3 are split from master bedroom with an accessible guest bathroom. This affordable and elegant property is the best in the market. Let's also not forget, a great choices in education with Lake Nona Middle and High Schools across Narcoossee Road This will be the best choice for you and your family! Listing courtesy of KW ELITE PARTNERS III. Selling Office: WATSON REALTY CORP..